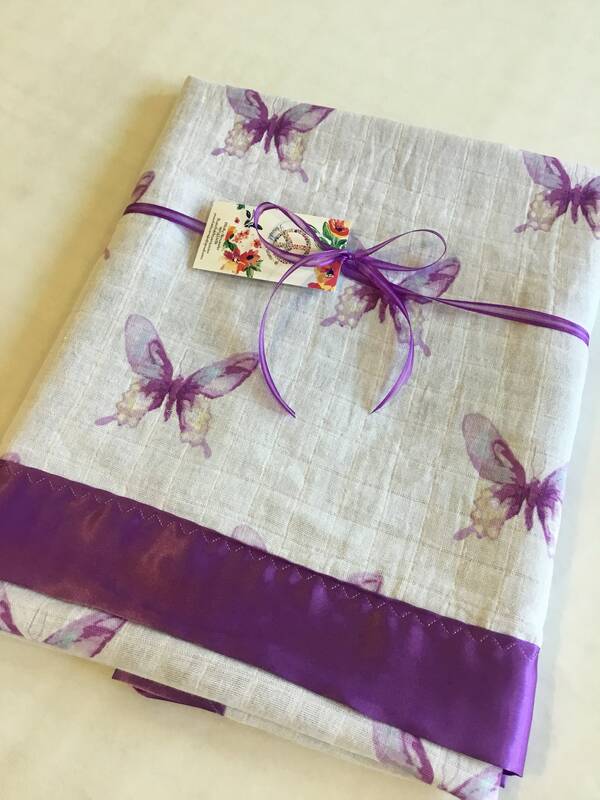 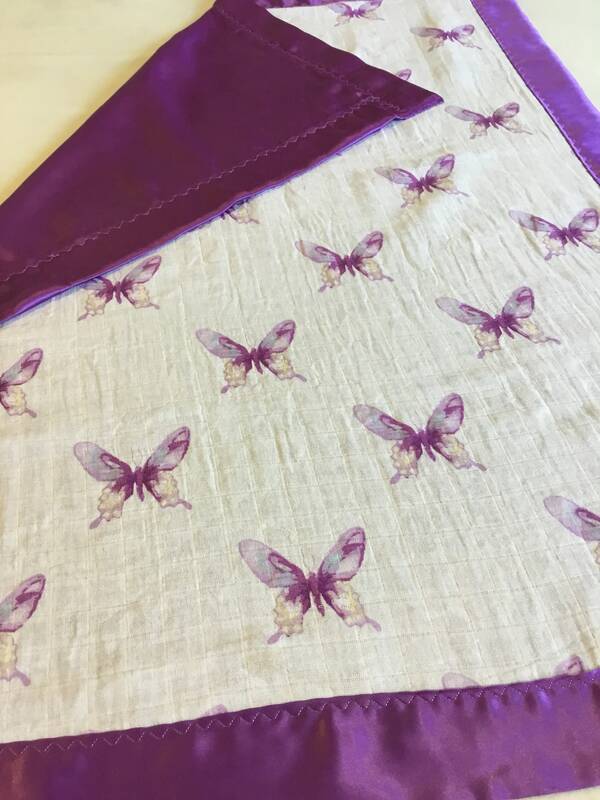 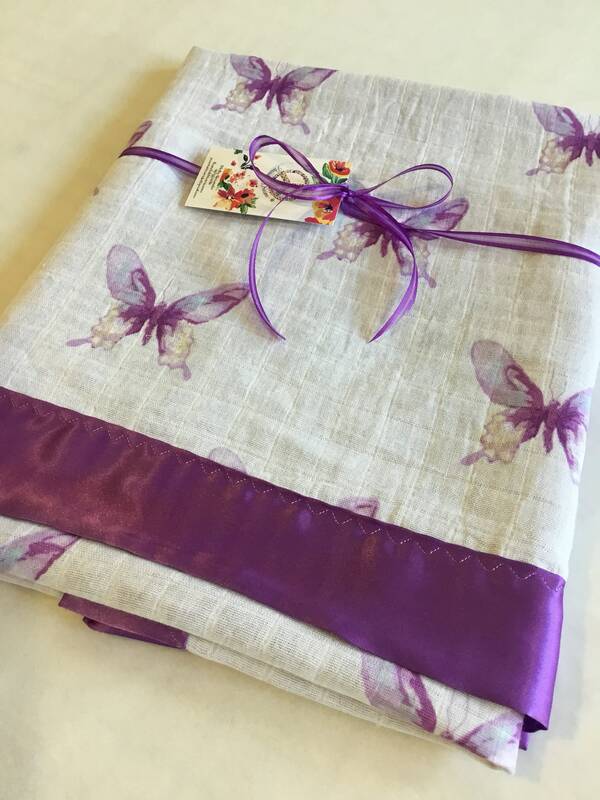 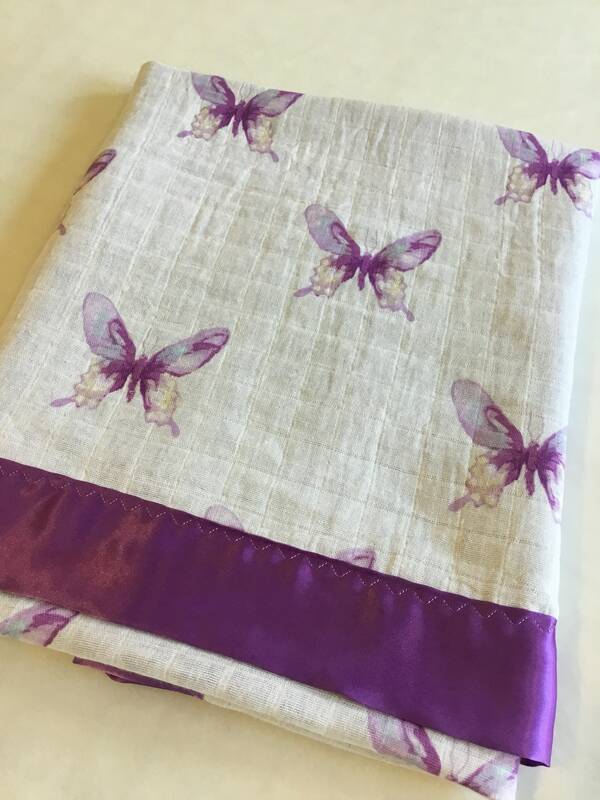 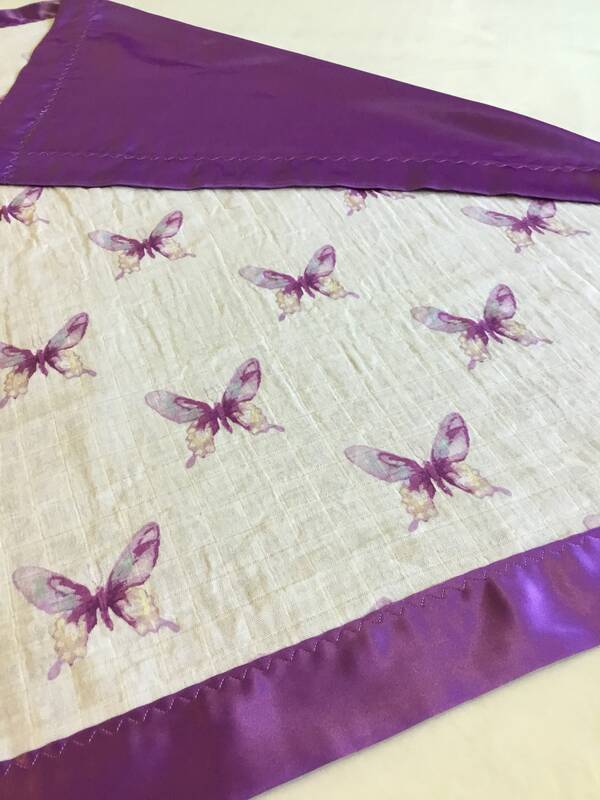 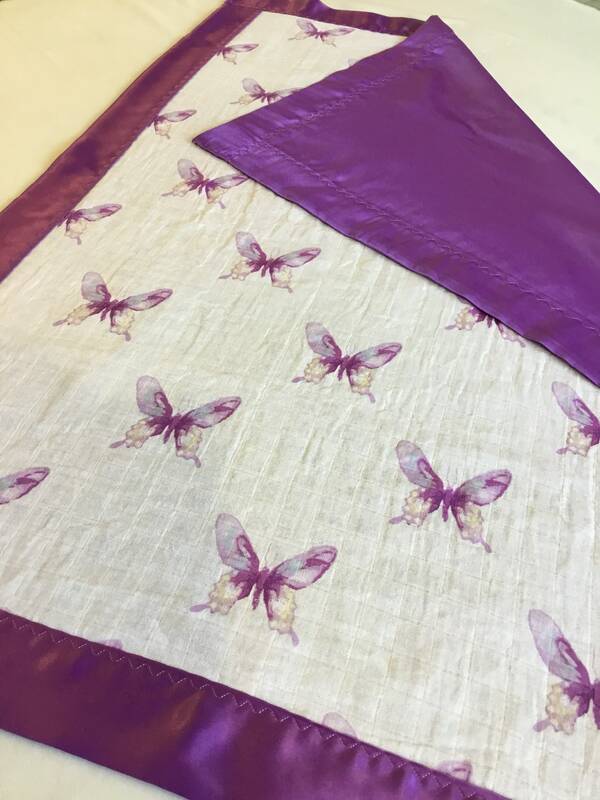 Breathable Butterfly Muslin front, backed and edged with high quality Charmeuse Silky. 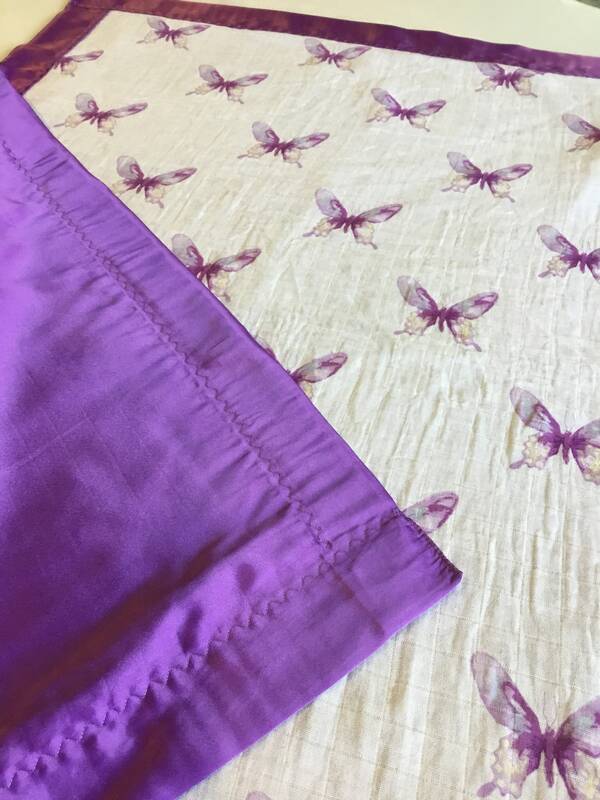 Sure to be a favorite. 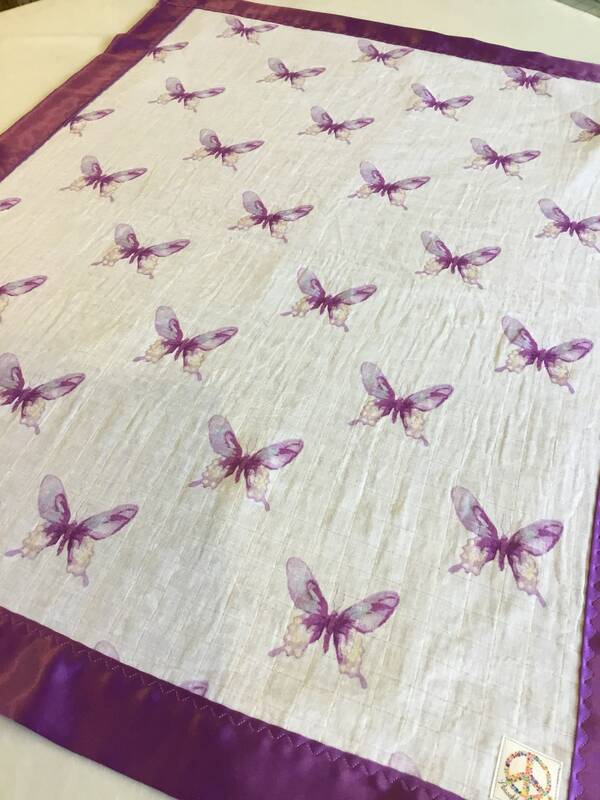 All Blanket are made with love by me.